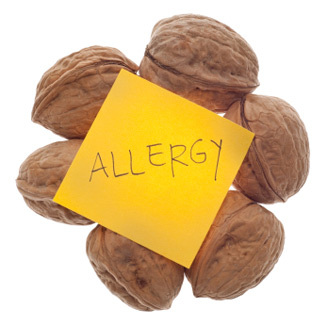 Did you know that food allergies cause a lot more than sniffles and a red nose? Food allergies can also be related to chronic fatigue. I found this out the hard way. No matter what I did, I was tired. The only time I wasn’t tired was after a nice warm shower, which invigorated me for about an hour. The rest of the day, I was so sleepy I would nod off in class, while driving, while watching television, while studying and sometimes during dinner. The last straw was when I fell asleep at the Phantom of the Opera right there in the theater. That’s when my boyfriend said I better get to a doctor. He believed something was wrong. Well it took several doctors to find that there was a connection of allergies and fatigue. The good news is that now you don’t have to go through skin scratch testing to discover allergies. You can do an ELISA test which tests for a food reaction that causes the immune system’s production of cells to increase dramatically. Another test, called the ALCAT test, measures the immune system reaction at the very start, even before the IgG or IgE cells have a chance to multiply. I’ll never forget the day I received my allergy test results. Since I had my test done back in the 1990s, it was an ELISA test. However, now I would prefer the ALCAT test. Anyway, on that day, the doctor gave me a list of all the food allergies I had that were contributing to my tiredness. I had asked him, can allergies cause fatigue, and he confirmed that it can. But tiredness is only one of a long list of problems that are related to allergies. What happens when you have food allergies is that as soon as you eat a food you are allergic to, the body’s memory cells remember that the food you ate is one you are sensitive to. The body then gears up production of the memory cells and gives them the command to attack. So what is really happening is there is a major war going on inside your body. The immune cells are involved. If the food is still in your intestine, then the site of the battle could be your intestines, leaving you with tiredness from the food allergies as well as constipation, bloating or diarrhea. If the food particles have been broken down by digestive enzymes, the remaining particles that cause allergy are now in the bloodstream, headed for the different organs. Let’s say those particles make it to your weakest organ, such as your joints. Your joints may have been weakened from old injuries. Then the battle starts in your joints and all types of inflammatory cells are brought in to clean up the mess of the dead cells. Just like what happens when there’s a battle in the real world. Whatever organ is involved will cry out that it is being attacked. That’s how you know where the battlefront is. In my case, I had battles going on in my joints, in my brain, and in my vertebrae that had been damaged by car accidents in the past. I was a mess! I had no idea that food allergies and fatigue were so related. I had always associated food allergy symptoms with symptoms my brother had, like red eyes and sniffles. But now I knew the truth. If I had fatigue, it was from the food allergies. My doctor said I had 23 different food allergies; allergies to grain, milk, sugar, beef, carageenan, apples, oranges, egg, yeast, almonds, strawberries, and other foods I didn’t eat much. He said I had to follow certain guidelines to eliminate the allergies and fatigue. 1. Don’t eat the foods that you are extremely sensitive to. 2. Rotate the remaining foods in the diet. A food will stay in the body for four full days, so you can’t repeat a food more than once every four days. 3. If you have a reaction, stop it with Alka-Seltzer Gold. 4. Figure out a way to stop your desire for the foods you are allergic to. How Fast Before Improvements Are Seen? When I started following the guidelines, I noticed immediate improvement in four days. The brain fog I had lifted. My joints felt normal again and there was no inflammation in my body. I can’t stress enough how good I felt when the inflammation lifted. The allergies and fatigue were being eliminated. The crying after eating milk products went away. I had been like a Jekyl and Hyde and eating anything with milk in it. You could hide the milk in a food and use me as a test to detect milk in that food. One hour after eating a food with milk, I would begin to cry for no reason at all. The doctor told me that the milk triggered a reaction in my brain that turned on the tears. As amazing as the body is to do that, I knew the body could also heal. My weight normalized and 20 extra pounds fell off without any work. I ended up having so much energy that I could work for 14 hours a day without tiredness. Finding the answer to my question, can allergies cause fatigue saved my life. To find out more about tiredness, see the ebook, End Tiredness Program. You’ll be glad you did.